I will start with Caprice. She has been waiting here at Second Chance Humane Society for a year and a half for a new family. What is up with that? I think it is partly because she is a little shy but she really does love people and once she trusts you will allow you to hold her and pet her. I have a strong feeling taht once given the chance Caprice will be an extremely loving and grateful pet. 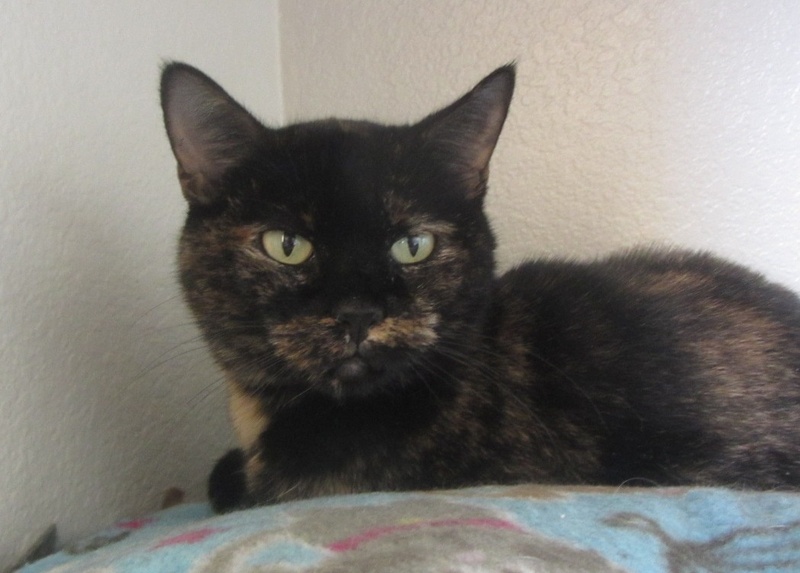 Caprice is only around 7 years of age but potential adopters have been overlooking her for the younger cats here at Second Chance. It doesn’t help that she has led a tough life and lost many of her teeth as a result of not being properly cared for. But to me this only means she deserves even more love and affection than the younger and healthier cats. I believe that Caprice and I would actually make a great pet team because I have had a pretty crap life too. I spent 10 years in a puppy mill. I’ll spare you the deets but most of my teeth are missing too. Like Caprice I pretend that I am too shy to interact with others but underneath it all I just want to be held and loved. Life in a puppy mill is no life for a dog and, like Caprice, I really feel like I have earned a chance at a regular life. A life that involves a home, a family, good nutrition, rest, sunshine, and lovely walks in the fresh air. 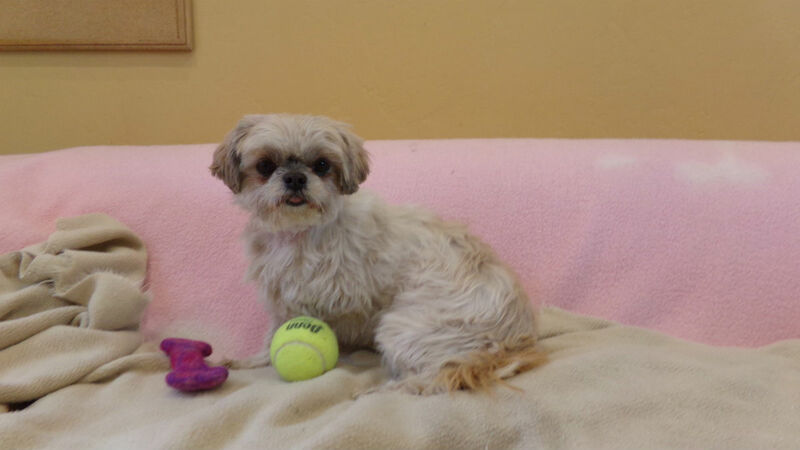 Despite my unfortunate beginnings I am a calm and sweet girl and as a shih tzu I won’t take up a lot of space – except in your heart. It is the beginning of summer. I love the feel of the grass under my feet and this new sense of being safe and nurtured that I am experiencing for the first time in my life since I arrived here at Second Chance. Caprice and I (my name is Celia by the way) are hoping that June is our lucky month. You can help us by spreading the word and helping us to find our loving forever homes.